You think it’s really hard to find trusted painters in your area to make your interior project done? NOT any more! If you want to improve the look of your home then painting is the most inexpensive and most effective method that you can use. When it comes to affordability and overall impact, interior painting is one of the best ways to transform the look and feel of your home. You can use Ananeosis LLC in Chicago for all house-painting projects. Whether you plan to paint your home’s exterior or interior Ananeosis LLC can help. Our skilled painting techniques will flip a routine project into an enormous success. The aim of our professional house painting services in Chicago is to to form your home look at its best! When you decide to hire a house painting service to paint your house, you never understand who can show up at your door or what form of work they’re going to do, or the standard of the work they were hired for. however, you’ll need to pay a large amount of money to gamble on the outcome. Not with Ananeosis LLC! 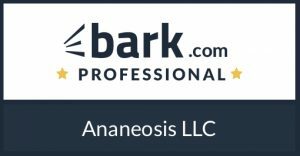 Once you attempt to work with Ananeosis LLC Chicago Services. Ananeosis is a full service painting company serving the area of Chicago IL which have helped home owners revamp and revitalize their homes. At Ananeosis LLC we understand that your home is important to you, so we are committed to providing quality painting that stands up to the harshest of critics. Our teams consist of skilled craftsman who offer high attention to detail and take pride in their work. With each and every project our number one goal is customer satisfaction, and we work closely with you to make sure the final product fulfils your wishes. Exterior Painting? 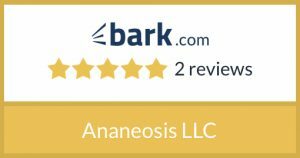 Ananeosis LLC with reasonable services with wonderful results are just a part of our commitment to customer satisfaction. We ensure our clientele stays happy thought all the project! Porches – power wash and seal. Ananeosis LLC in Chicago concentrate on wall repair, staining, painting, ceiling repair, and wallpaper removal. Preparation is essential for all painting projects. Our painters can cover carpets, take away wall hangings and move and cover furniture. we work with you to come to a decision in what types of paints and colors meet the decorating needs of your house. In addition, once every painting project is completed we place everything back in its place. An organized time to complete your work that’s mutually agreed upon. Thorough surface preparation before any materials is applied. 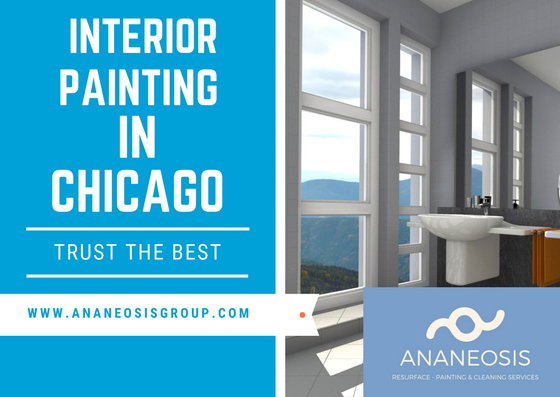 Ananeosis LLC Painting Chicago is usually happy to provide free budget estimates and evaluation for the task you wish, satisfied customers vary from condominiums/apartments and homeowners! Interior Living Room Painting . Interior Wall Painting Tips https://www.youtube.com/watch?v=pYAXsbsFBC8Did you know that painting right interior wall can really change and improve the interior design in the bedroom at his house bright, nice and clean? It is very important to match the interior wall paint the interior design of the room. The color you choose for your bedroom can tell a lot about you. It is true that without planning and good design, even the most expensive houses are a mess, and you feel claustrophobic.Interior painting is very important because it may indicate and gives us a lot of help, because this is where we will find refuge and comfort. You have to be very picky about the rooms design and painting.There are different colors available in the market and while you choose the best color for you, what its still important once again, how will it be paint! Interior painting is not taking a huge amount of time when it’s being handled by professionals. You have to know how to choose the type of color to suit different seasons. For example, there is a type of color that goes great with the summer season, but still looks good for the winter season.The color of the interior painting is the only key that can make our home look fresh, smooth and clean and Ananeosis LLC can help you decide the perfect color combination.